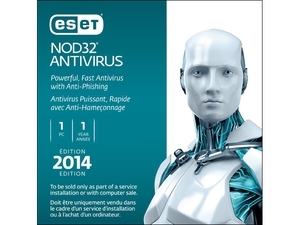 Newegg.com has a ESET NOD32 Antivirus 2014 (1 PC) Sale Priced at $14.99 with Free Shipping after promo code "EMCAPKN98". Also includes free Piriform CCleaner Pro with purchase. Sells for $27+ shipped at Amazon. Excellent price on this highly-regarded, rarely on sale antivirus anti-spyware software. One of the few antivirus products that runs on Windows Home Server 2003 and 2011. We've used this or the antivirus only product by Eset for years on our WHS backup servers without problems.